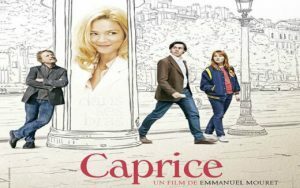 Caprice was released in 2015, directed by Emmanuel Mouret. The story is about an average guy who meets an actress who is more beautiful than he could ever imagine. But then a pesky girl materializes to make his life a living hell as everything gets complicated when he meets Caprice, an excessive and exuberant young woman who falls for him.